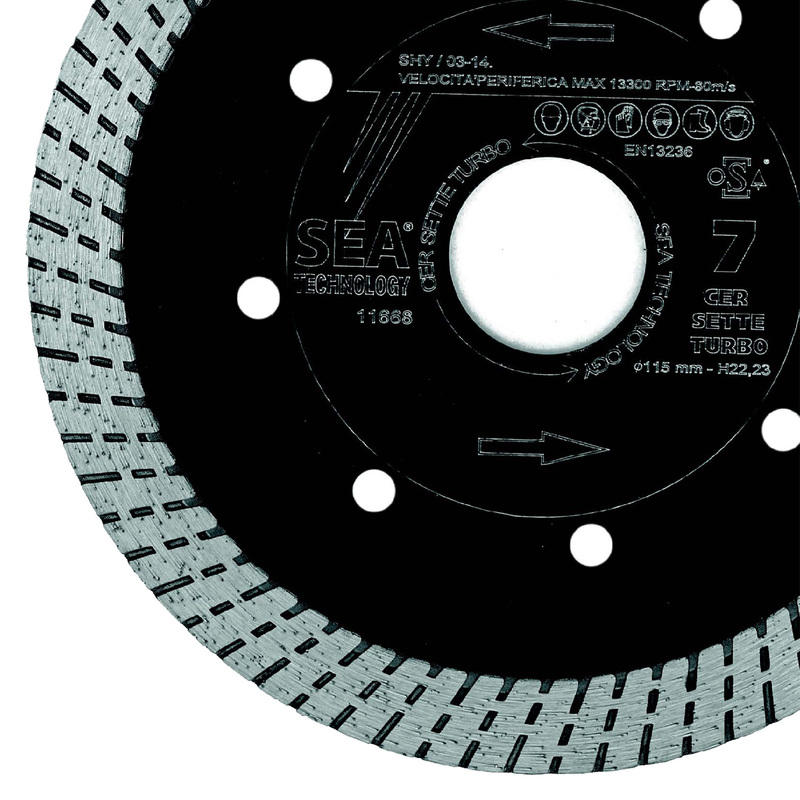 CER SETTE TURBO is a brand new blade for the cutting of stoneware porcelain. It stands out for its very high performances. This new blade is designed to cut the latest generation of stoneware, that is fired at very high temperatures. If compared to CER CINQUE TURBO, that is among the top level blades in the market, CER7 is even 30% faster and offers 50% better performances thanks to its 12mm high diamond.